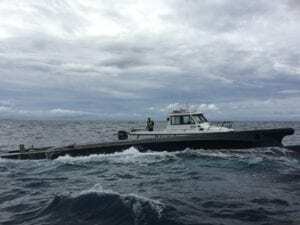 Three people were forced to abandon their catamaran on Saturday, after it started taking on water off the north coast. Marine Rescue rushed to its last-known location off Wooli, after the crew of the 57-foot vessel sent out a mayday call. 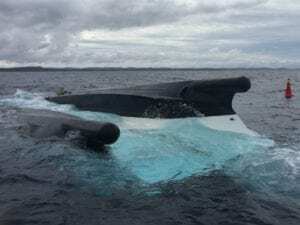 On arrival, they located the upturned vessel, however, there was no sign of the catamaran’s crew. 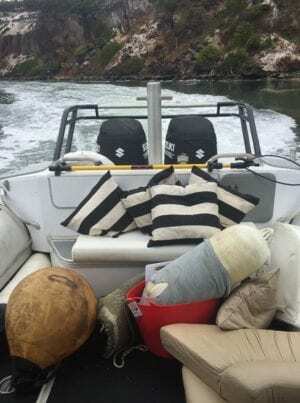 An extensive search only located debris from the boat. Meanwhile, the crew, who’d managed to scramble to an inflatable, turned up at the Wooli River radio base. All three walked away uninjured.